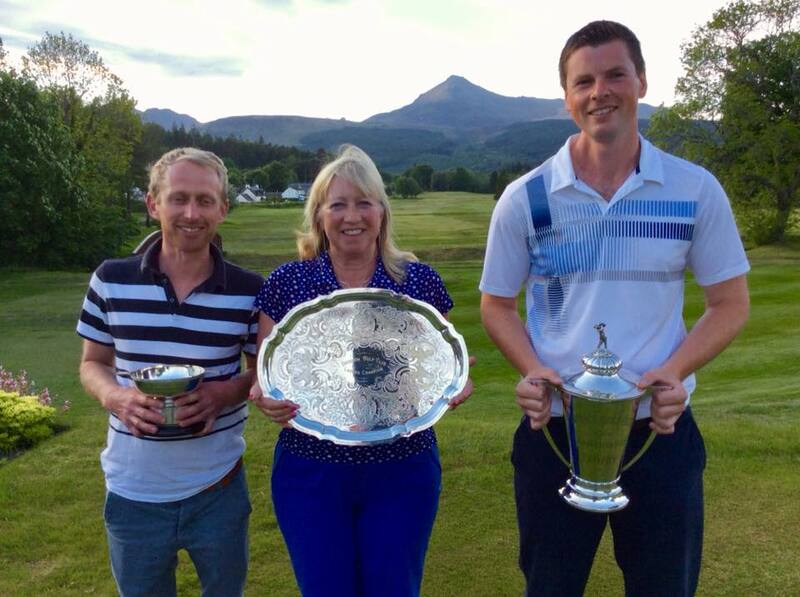 Well done to Yvonne Brothers who won the ALGU Flockhart trophy played at Brodick. Fabulous chance to come and see Spring/Summer 2018 collections from Old Byre and Chameleon. Get your friends together and come along to a fun evening of bubbly, laughs and fashion – what more can a girl want! Tickets are just £10 including a welcome glass of prosecco, nibbles and entry into the prize draw! Tickets are available from The Old Byre Showroom Machrie, The Byre at Brodick and Chameleon in Lamlash. From and including Tuesday May 5th, there will be only 2 ballots, 12:30pm and 4:45pm. This will continue until Tuesday 19th June, after which we shall review ballot times. 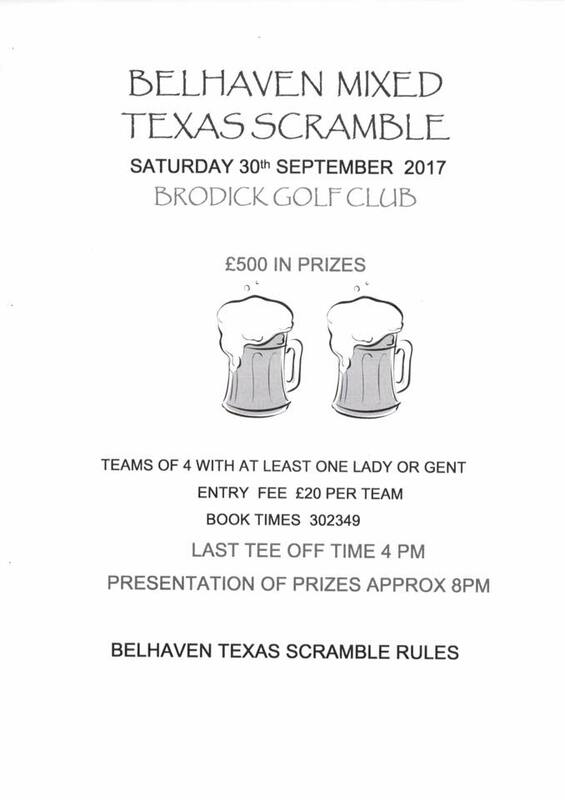 The Ladies 9 hole competition will remain at the usual morning time. 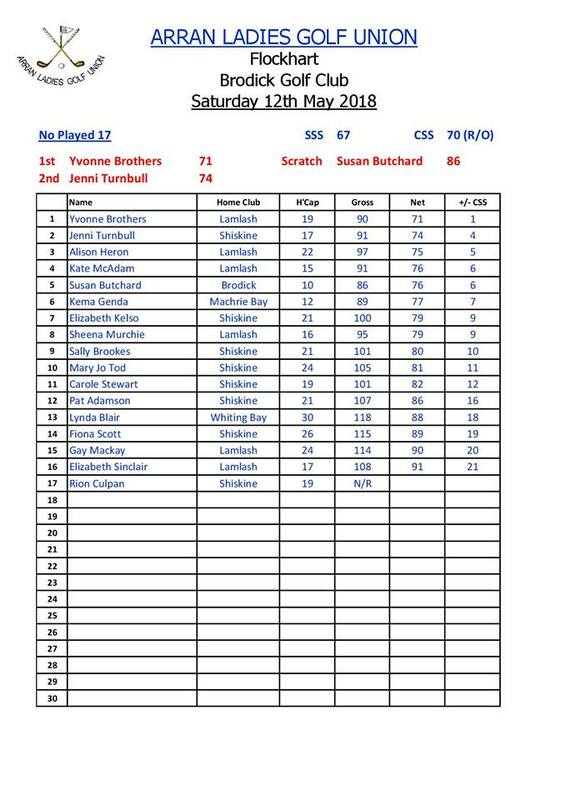 Congratulations again to the Brodick Ladies!!! 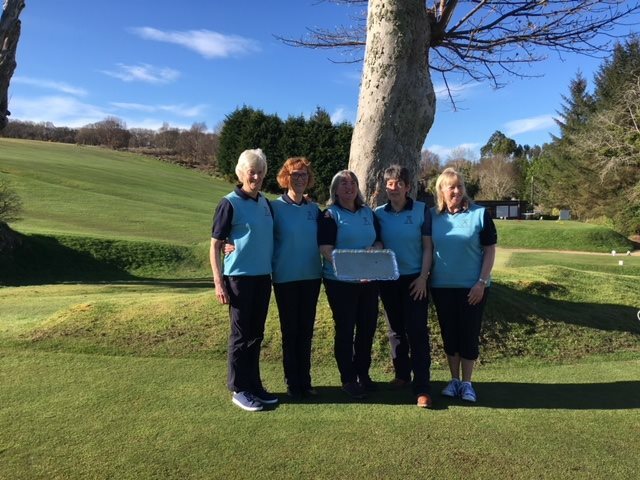 Brodick 2018 Ladies Kiscadale team; Margaret Roxburgh, Heather Raeside, Isobel MacDonald (playing Captain), Susan Butchard & Ann May. 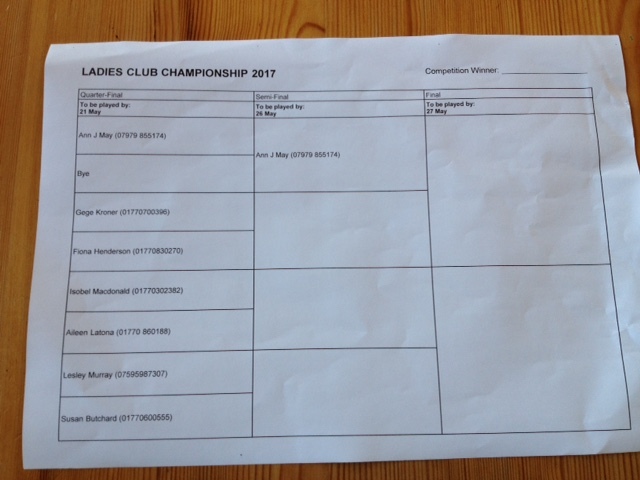 Thanks to all the ladies from other clubs who took part, Whiting Bay GC for use of the course which was in great condition, John & Nancy for catering and bar, Wolfi for starting us off every day. 2019 Kiscadale will be held in Brodick where we look forward to defending our title! The annual golf and games took place on 9th January with nine ladies braving the weather for a nine hole Stableford which was won by Ann Hart. The Prizegiving and dinner will take place on 2nd February. 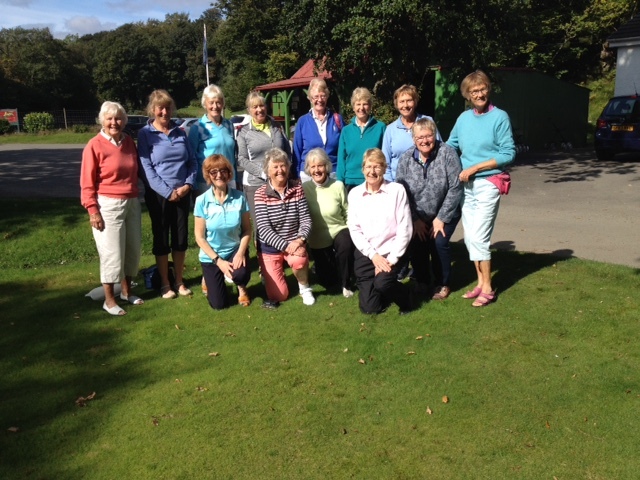 The ladies went all the way to Corrie yesterday to enjoy a game of golf in the sun. 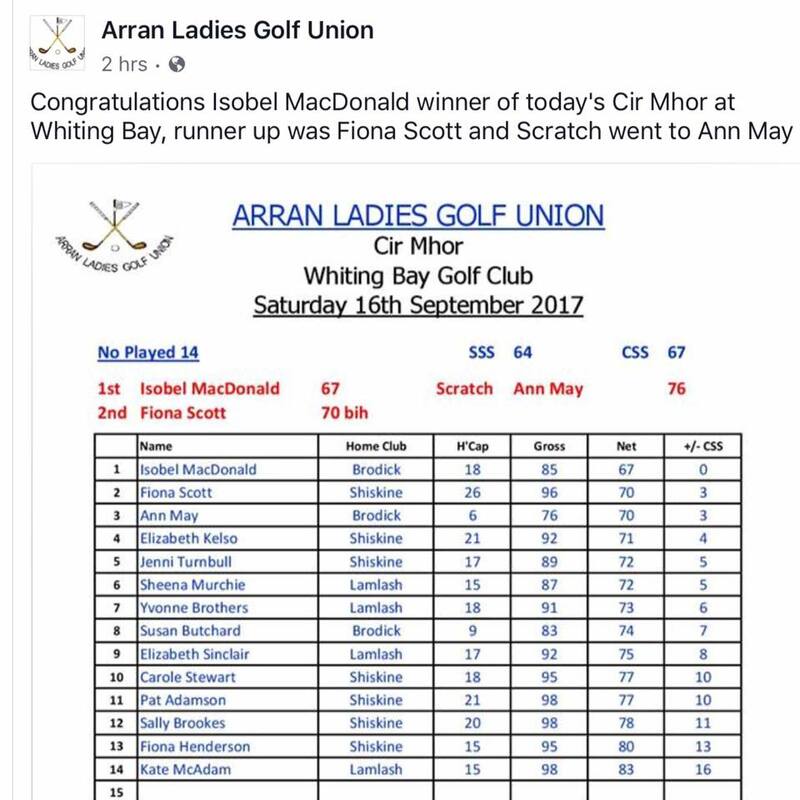 Well done Isobel and Ann…yet more success for the Brodick ladies! 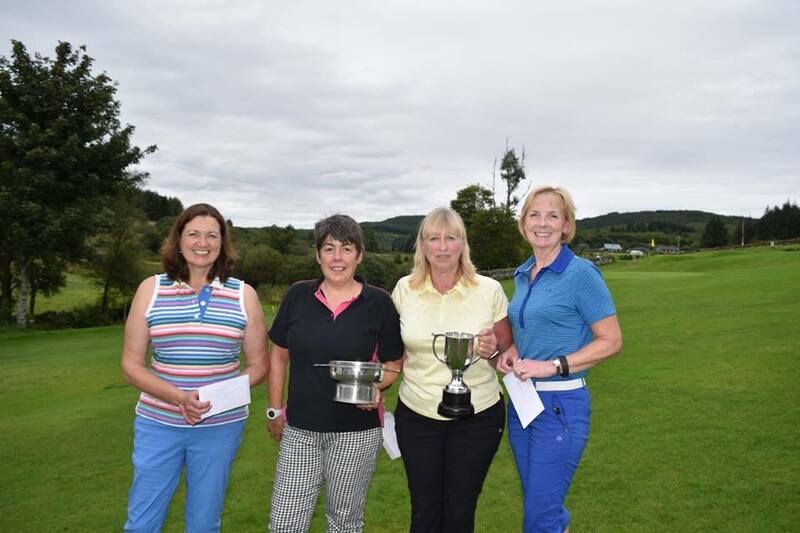 Some of our Brodick ladies featuring in Lochgilphead’s Ladies 2017 Open, well done. Liz Kerr won Nearest The Pin In Two (silver). Thanks to Lochgilphead GC for a fabulous day, gorgeous food and great company! The competition was held as an 18 hole individual stableford. 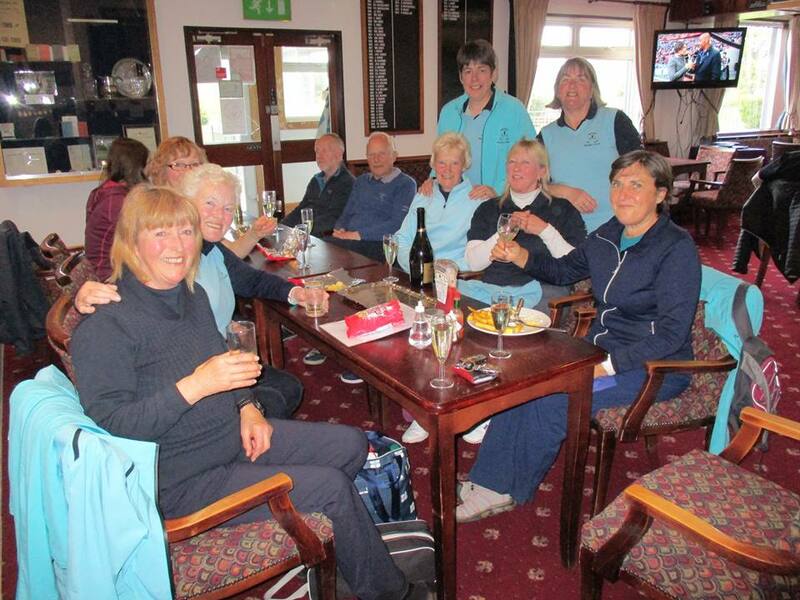 The Ladies Open Trophy was awarded for the best overall score, and prizes were awarded in Silver and Bronze categories. 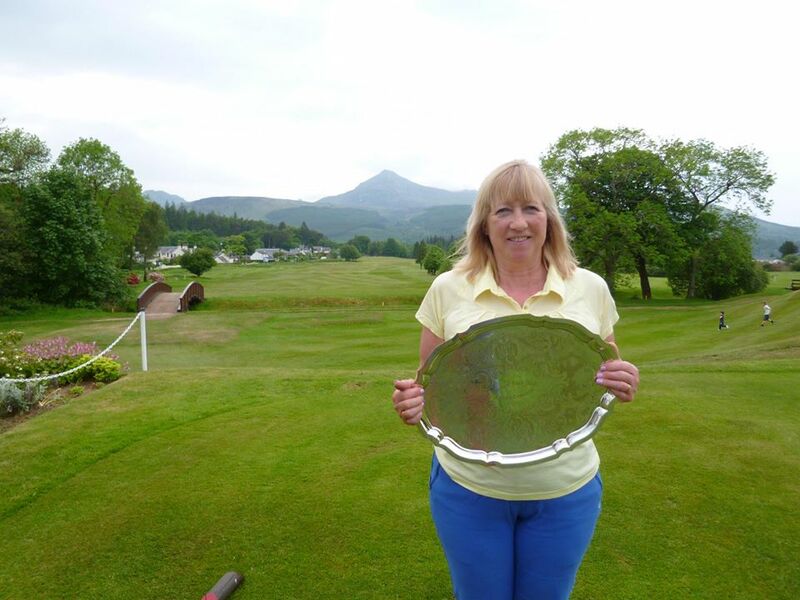 Congratulations to Ann May on not only winning the Brodick Ladies Club Championship, but also the Championship at Shiskine. 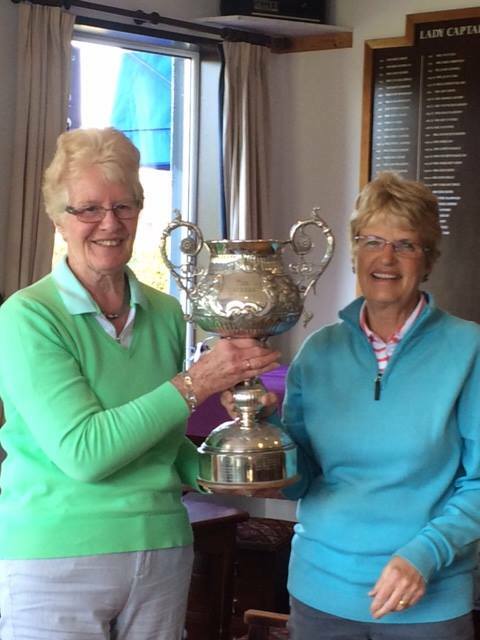 Well done Ann and well done to Susan Butchard who played so well in our final. We are up to date with our fixtures apart from the Captain’s Prize which was rained off and will be played for at the same time as the Captain versus Vice Captain is played in early October. We went ahead with the supper and fundraiser and had an enjoyable evening. Thanks Trish for another great buffet. Open preparations are in hand. 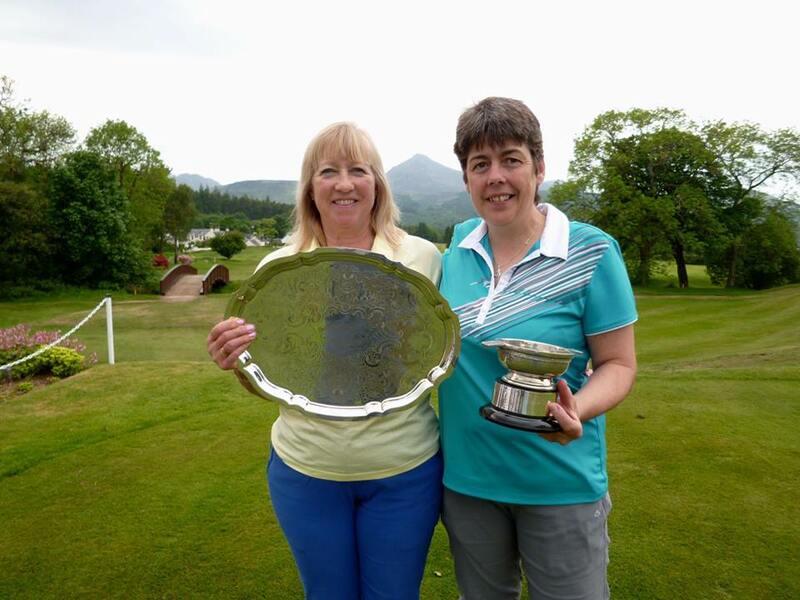 The members who watched the Brodick Golf Club Ladies Championship Final on Saturday 27th June between defending champion, Ann May and past champion, Susan Butchard, were treated to some of the best club golf they’d seen. This was a match played in good spirit, which could have gone either way, with both players playing mainly par golf. Susan was one under par for the first nine holes. It was only a couple of loose shots off the twelfth and thirteenth tees which proved costly for her and allowed Ann to take control of the game and to win on the eighteenth green. Well done Ann and Susan. Ladies Championship Final will take place on Saturday 27th @ 3pm between Susan Butchard & Ann May, all welcome to come and watch some great golf! Saturday 13th May: 8.30am, Alternate Day Centenary Quaich. Tuesday 16th May: Centenary Quaich, 9 hole Stableford. 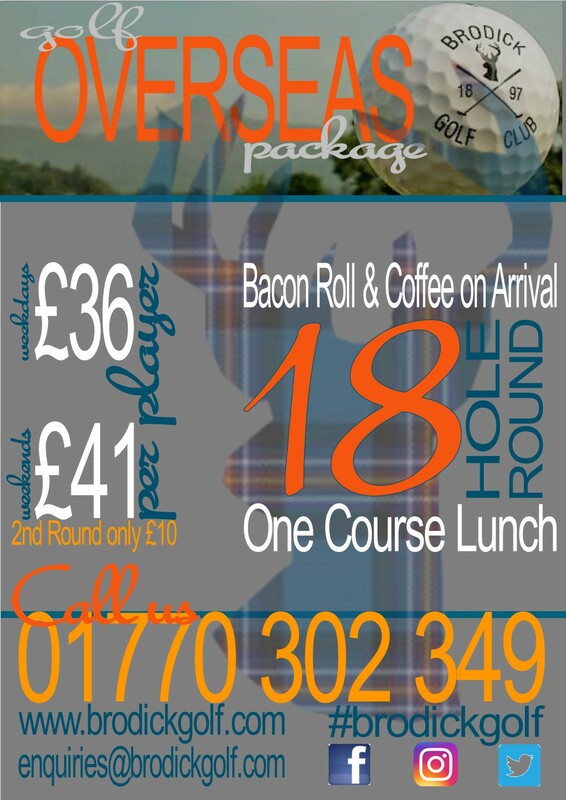 Tuesday 23rd May: Coronation Foursomes, pick your own partner, draw Monday 22nd May. Well done Ann and Brenda for handicap reductions to 5 and 12. Susan won all the twos money. Kiscadale team! 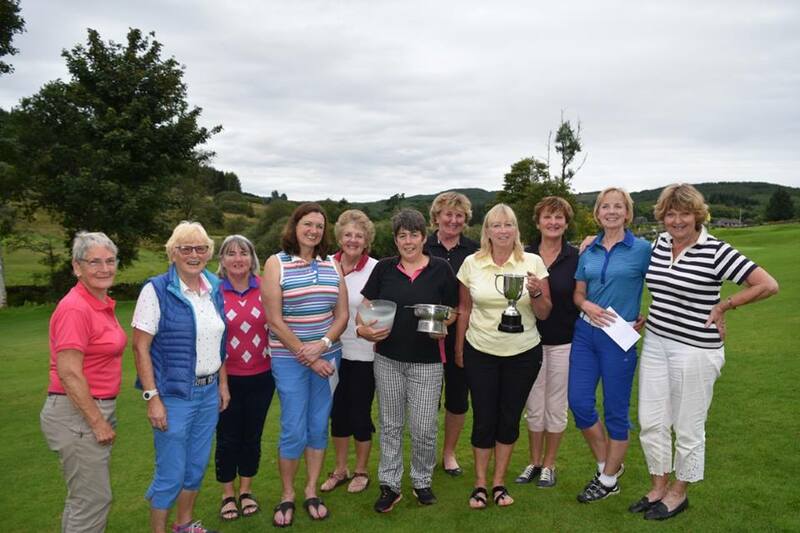 Giorsal Kroner, Ann May, Susan Butchard, Aileen Latona, Brenda Livingstone, Ann Hart (exceptionally good non-playing Captain holding the Salver) and Isobel MacDonald. 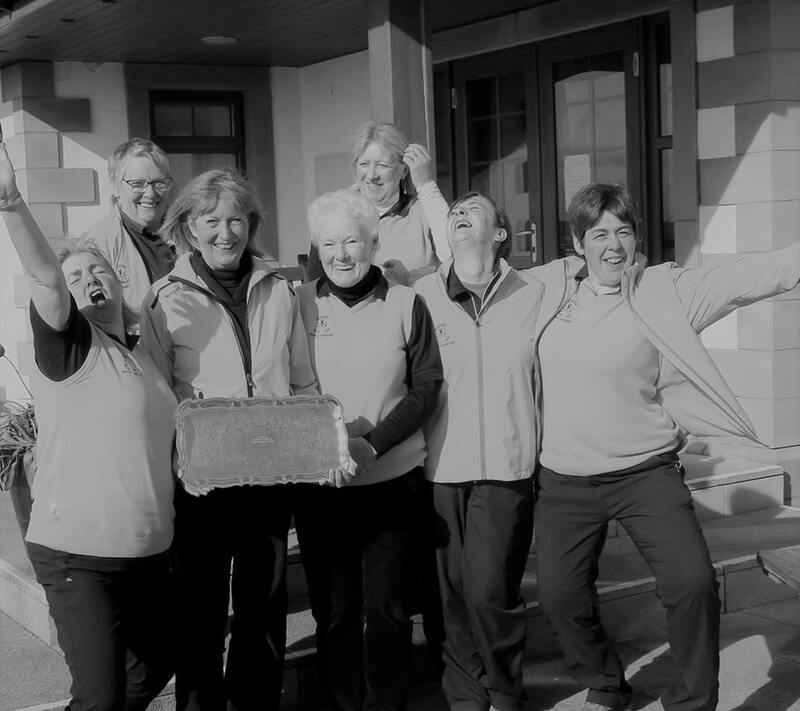 Brodick Ladies Kiscadale team celebrating their fabulous win! 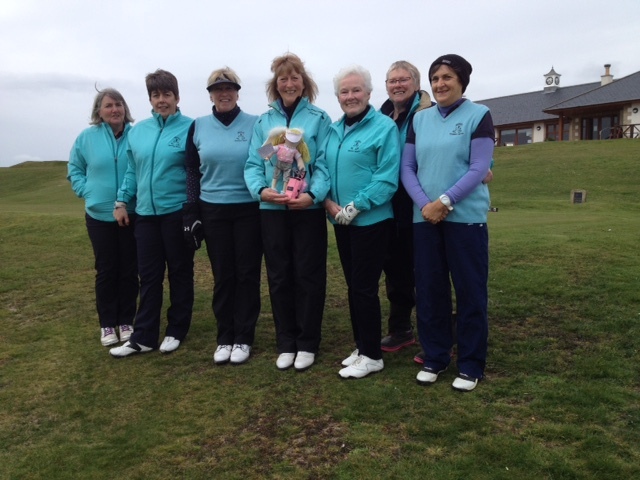 Well done Ann and Isobel who won 4 and 2, and Susan and Brenda who won 5 and 4 against Lamlash at Shiskine. 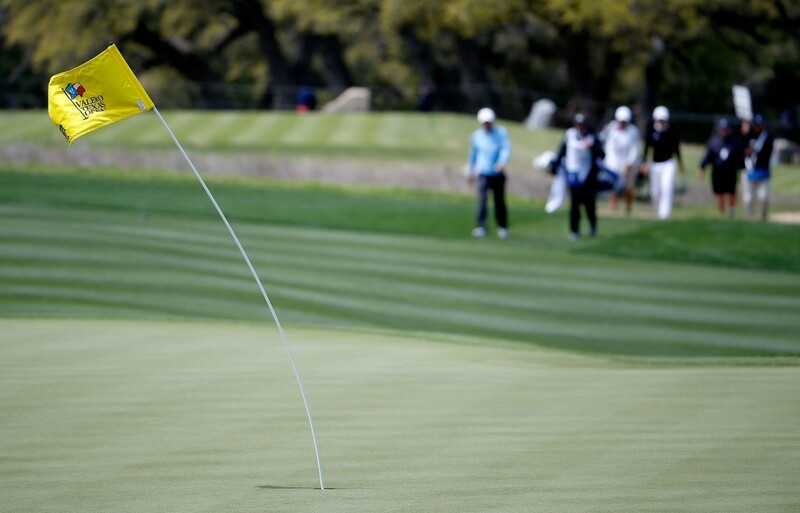 Well done Susan for managing to cut your handicap when it was so windy. April Medal on Tuesday with CSS 70 and RO. Margaret Roxburgh was first with net 71, Ann May 2nd and scratch winner with a 79 net 73. In the Bronze category, Aileen Latona was first with a net 80 and Pat Adamson second with a net 82. Hopefully we’ll all get better! This 2017 -2018 season will be an important year. A new Club Professional John Wilson will start in March and a new and full committee has been formed brimming with good ideas. We will as this message is, keep members informed of all activities on this website and with one click/link for Facebook. Hard copies will also be posted on the noticeboard. We will form a new entertainments sub-committee. We will put in a serious effort in marketing and looking for New Members and retaining existing members. Junior Golf will become a priority, it is after all the future of the club. 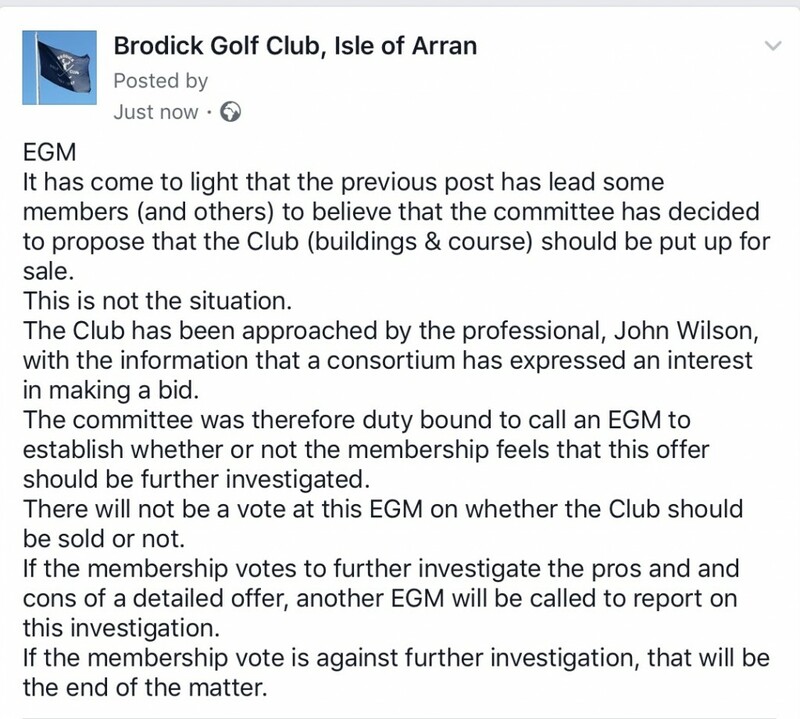 We will create a plan covering the short, medium and long term aims of Brodick Golf Club. 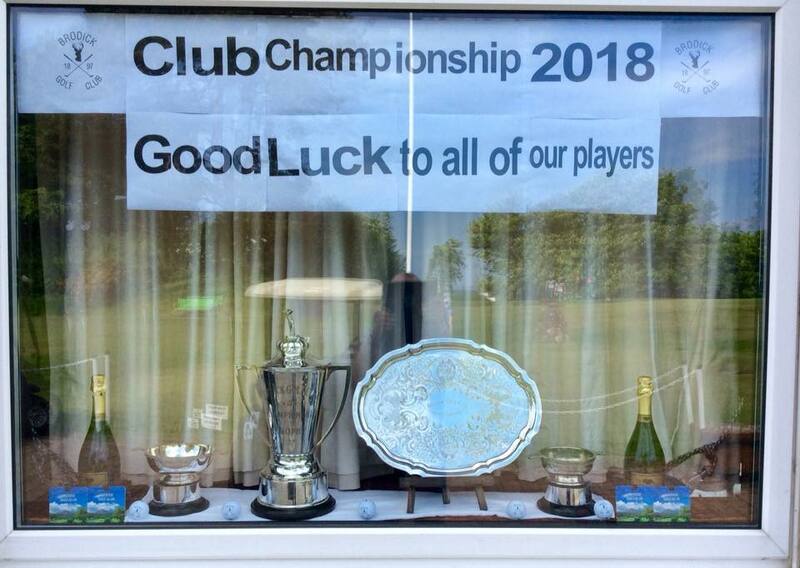 The Committee hopes that the golfing success of last year continues, but also as important that all members enjoy the golf and social events at Brodick Golf Club.